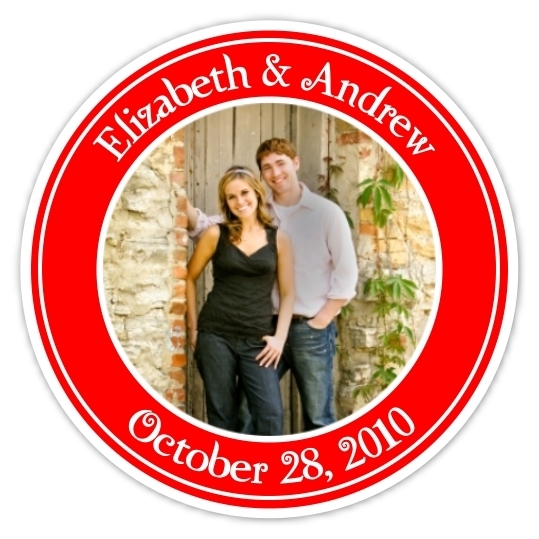 Personalize these stickers with the name of the bride and groom AND your custom photo! You can send your photo to info@divaentertains.com after you place the order. If you'd like a different color, please just let us know! We can print these in almost any color you prefer! Plan on three business days for us to fulfill your sticker order; then add ship time. Shipping is at a flat rate of $3.00 per order.